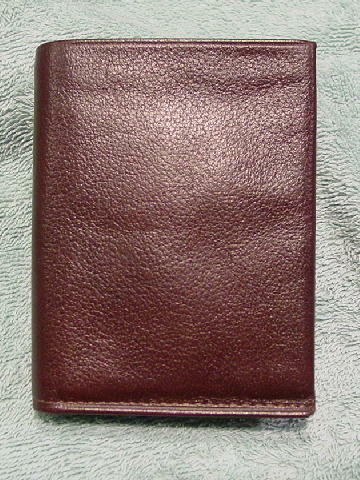 This never-used mustang brown leather vintage wallet was made in the USA by Rolfs. 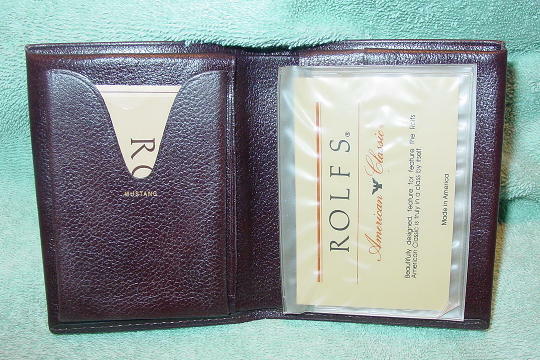 There is a replacement accessories order card which states you enclose 20 cents postage per item ordered (meaning the wallet was made in the early 1980s, when first class U.S. postage stamps cost 20 cents). 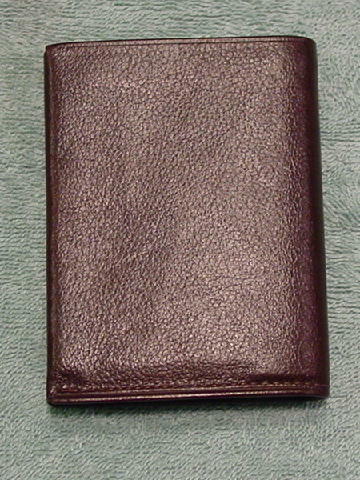 The back has a fabric lined (with logos on it) dollar bill compartment. The front interior of the compartment has spare house key and spare car key plastic holders. 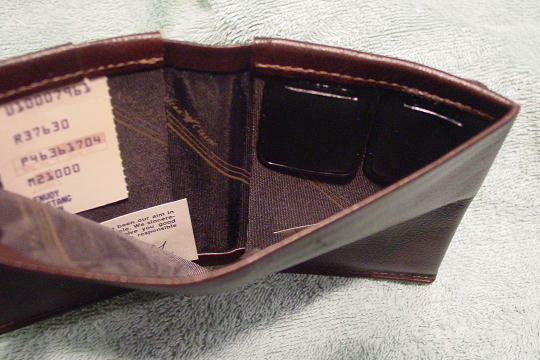 The left interior front has a cutout V card or license holder with Mustang etched below it and a multi-function pocket behind it. 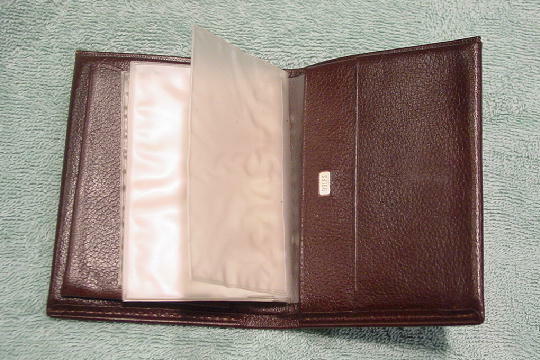 On the right side are 5 clear plastic card holders and behind them are two pockets. There is an elevated silver-tone ornament on the larger one, and it has Rolfs etched on it. The final inspection tags and manufacturer's tag are still there. It's from a former New York actor. He got it as a present from his agent when he got his first leading role. He never used it, because he thought it was too nice for everyday use.